In an act of international solidarity between indigenous peoples, the Sami parliament in Norway has persuaded the country’s second largest pension fund to withdraw its money from companies linked to a controversial oil project backed by Donald Trump. This week, after lobbying by the Sami parliament, Norway’s local authority pension fund KLP announced it would sell of shares worth $58m in companies building the pipeline. Vibeke Larsen, president of the Sami parliament, said the pension fund announced the move when she arrived at a meeting in Oslo to discuss Dakota Access. “We feel a strong solidarity with other indigenous people in other parts of the world, so we are doing our part in Norway by putting pressure on the pension funds,” she told the Guardian. The Sami – sometimes called Lapps in English – are an indigenous people living in the Arctic area of Sápmi in the far north of Norway, Sweden, Finland and Russia’s Kola peninsula. KLP had previously argued it could not justify divestment from the project, saying that even though it visited the site in December, it had found no evidence of “serious or systematic violations of environmental or human rights”. But Larsen alerted the investment fund to a report earlier this month by the UN special rapporteur on the rights of indigenous peoples, Victoria Tauli-Corpuz, which concluded the tribes affected by the pipeline had not been consulted sufficiently. Tauli-Corpuz was also “deeply concerned” by Trump’s 24 January executive order which gave the project the green light without a broader environmental impact statement. Opponents of Dakota Access have also waged a divestment campaign against the pipeline company, Energy Transfer Partners. 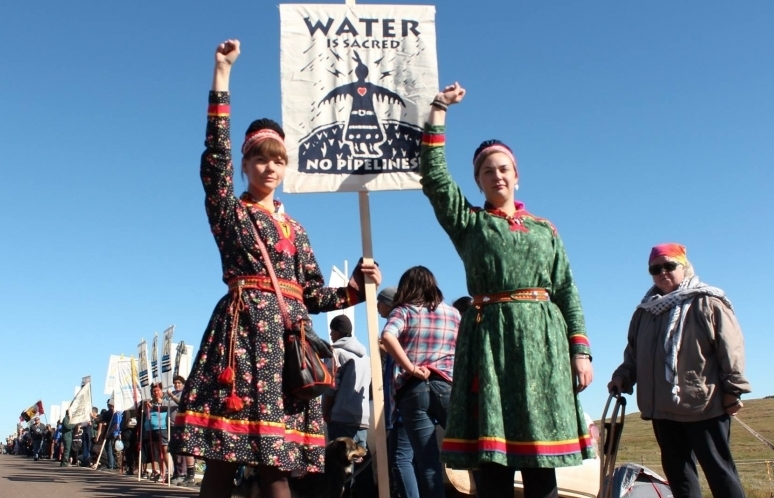 Using the slogan Defund DAPL, activists have also urged individuals and institutions to move money out of companies involved in the project. Larsen believes KLP realised the case was serious when the parliament began writing to them. “It is not easy to understand if you are not indigenous, and I understand companies sometimes miss it,” she says, agreeing that misunderstandings can arise from a failure by outsiders to grasp the importance of sacred land, for example. Annie Bersagel, acting head of responsible investments at KLP says transparency is “one of KLP’s core values”. “That means that we base decisions on exclusion on a thorough analysis that we publish, both to hold ourselves accountable to KLP’s customers and owners, and to have a greater impact on the companies from which we divest,” she says. Norwegian financial group Storebrand announced earlier this month it was divesting from companies tied to Dakota Access, and in February, Nordic bank Nordea sold its bonds in three of the pipeline companies. 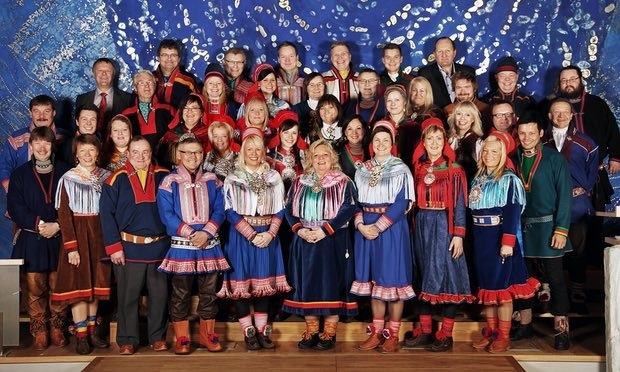 As non state-owned businesses, they had not been targeted by the Sami parliament, a parliament spokesman says. But during the “Tråante 2017” celebration held by the Sami in February, Sami youth organisations held a flash mob in a branch of the partially state-owned bank DNB in Trondheim over the issue. Still to divest is Norway’s giant sovereign wealth fund the Government Pension Fund Global (GFPG) – the world’s third biggest investor – which has nearly $1.2bn of investments in the pipeline companies, according to Friends of the Earth Norway. 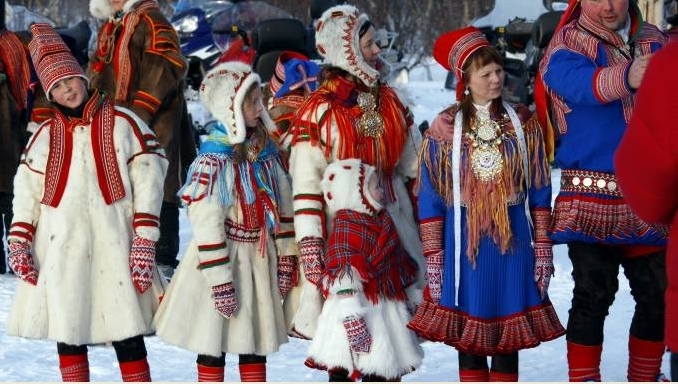 As indigenous people who are themselves protected under international conventions, the Sami campaigners believe that their voice can have an impact far beyond their numbers, said Larsen. “It is because we are so small that we have to have solidarity with the others,” she said. 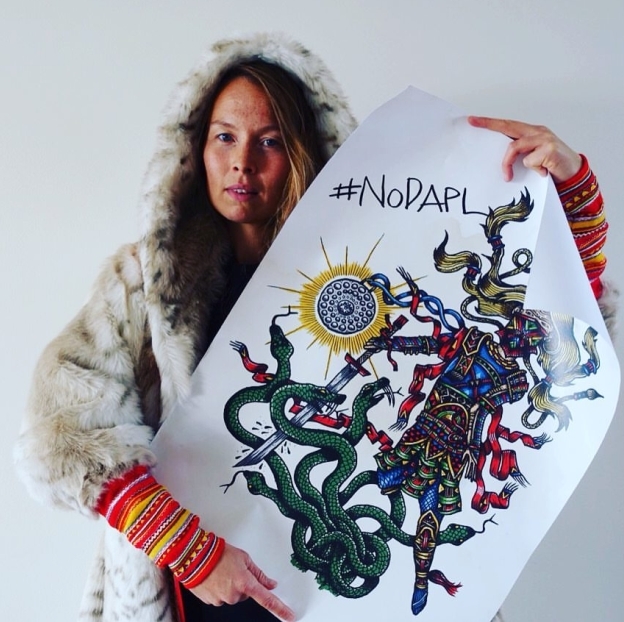 Responses to "Sami people persuade Norway pension fund to divest from Dakota Access "